Note from Laura: Hearts Unfolding is a great contemporary romance that I absolutely loved. This story is heartrending at times, so read with a tissue. Kathleen is a critique partner and I read this in its rough stages. Hearts Unfolding is only 99 cents for a limited time. Can't beat that! The link to buy is below the bio. Kennedy Rockwell takes pride in working for her family’s Rockwell Concrete Works, but she plans to branch out into her own landscape design business. Strong and independent, she is determined to succeed. Romance can wait…until Austin Warner turns her emotions inside out. Austin works hard to achieve his goals, and the one closest to his heart is something he’s never really had—a family of his own. Kennedy seems to be the answer to his prayers until a small complication brings huge consequences. Troubles from their pasts threaten to crush their dreams and push them apart. Can Kennedy and Austin learn to yield everything to the One who can grant them the desires of their hearts? Kathleen Friesen and her amazing, patient husband recently moved back to Saskatchewan so they can spend more time with family in between renovations, landscaping and adventuring in new places. 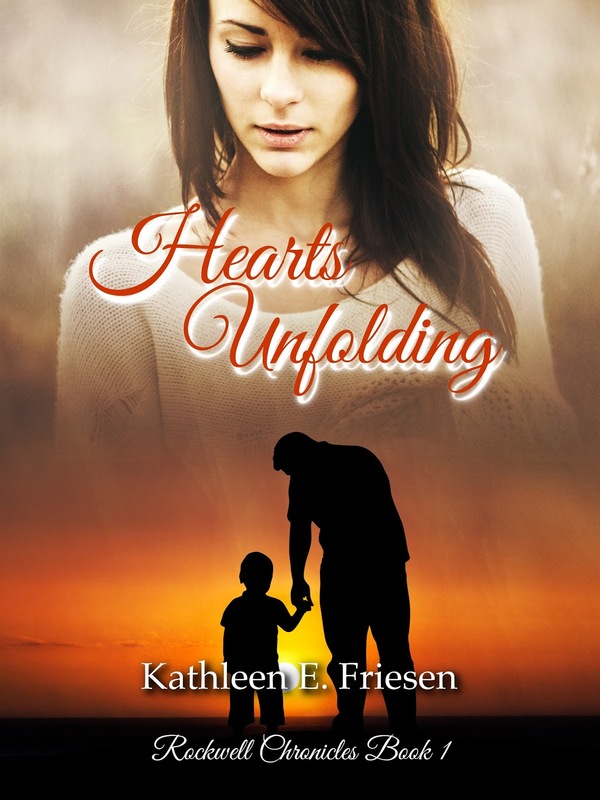 Kathleen writes contemporary stories of faith that can overcome tough trials and deep heartaches. 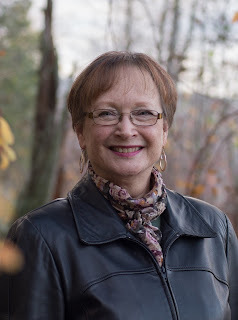 Her desire is for her readers to see themselves in the characters of her stories and to realize that Jesus Christ is the true hero for everyone, whatever their circumstances. When I began this writing journey, one adage I heard again and again was, “Write what you know.” Gotta admit, that didn’t sit well, mainly because I knew I didn’t know much. No grand adventures in this girl’s life, no death-defying sports, no fantastic career. Just a low-key, sedentary wife and mom who wanted to tell some stories. But through writing courses, talking with established authors, and hours of reading, I learned that “what you know” is only the starting point. That’s where research and imagination take over. All right! I could do that. So when I decided to write The Rockwell Chronicles, a series based on four siblings who work (or worked) in the family concrete business, I knew I’d have to use experience, research and imagination. I have a live-in expert, my husband who ran a concrete construction company for years, so that part was set. But the heroine of Hearts Unfolding, Kennedy Rockwell, took a lot more imagination. Kennedy is strong, physically fit from years of working with concrete. She keeps up with her siblings, even challenging them at times. She is, physically, a person I would like to be. However, a painful incident from her teen years left her damaged emotionally, fearful of children and therefore marriage. Her emotions are stuck in a mire of regret so old it has set into a solid mass, much like concrete’s chemical reaction that causes it to become rock hard. How does one remove concrete? It usually takes a jackhammer, a rough and unpleasant action. Kennedy doesn’t want to face the pain of her past, so she does require some jolts. But then grace takes over, and that’s the part of the story I love the most. Everyone I know (including me) has experienced hard times; many have endured agony of the soul. But grace, forgiveness and love can conquer the deepest regrets, the worst sorrow. Even a hardened, concrete-like mess of failurelike Kennedy’s cannot withstand God’s grace. Being able to share this truth through story is pure joy and the reason I write. Thank you, Laura! I appreciate you--your help in writing and marketing and your friendship. You are a blessing. A very sweet background story, Kathleen. Thank you for sharing. Thank you for sharing the story behind Hearts Unfolding, Kathleen. Sounds like a great story to read. Thank you, Marie! I'm glad you enjoyed it. Thank you, Marilyn! Hearts Unfolding is on sale for only 99 cents right now, but the sale ends Saturday night. I hope you read and enjoy Kennedy's story.